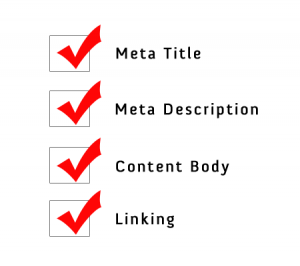 As a do-it-yourself SEO content developer, I hope to give you useful information from my own experience about how you should and should not use SEO for your website. Whether you have an SEO team working with you or are doing this by yourself, here are some more tips on how to promote your website during your spare time. 1. Create search engine friendly pieces. I have said over and over again that people want to read valuable information, not a barrage of useless nonsense. You need sites that search engines can read so people can find you. Do you know if your site is being crawled by search engines? Plug in your keywords to a search engine and see if your site appears. If it’s not there, you need to make your site search engine friendly. Search engines will not read text embedded in your images. You have to use important keywords, hyperlinks in text, and use CSS as your “buttons” or image for your navigation link. This creates great anchor text that helps the search engine find you easier and faster. You also want to use some repetition (just don’t overdo it). I’ve already shared with you several online keywords tools that are available. Programs like Wordtracker can help with keyword and phrase variation. Go to my SEO tools, bookmark them, and USE THE TOOLS. 3. Link to other businesses. Business is all about relationships with your clients and other businesses. Do your homework, and find relevant sites that will link back to you. They’re out there. Just this past weekend I have found several sites where I added my link, and they reciprocated the link. Make sure the sites pertain to what you’re doing. Look for quality over quantity. You don’t want to turn off your readers with irrelevant information. • Press releases with relevance to your website. • Submission to good directories like Yahoo, Google, or (as Dave states) ALEXA. • Ask previous clients to use your link as a potential link back. This is important if you want to move up the PageRank ladder because Google and other search engines look to see how many links to your site are available. • Post comments and include links to forums, chat spaces, and logs that are relevant to what you’re doing. • Write articles that pertain to your business. • Become a member of a social media group. Join online neighborhoods like Facebook and YouTube. Most of all, keep working at this. I know it can be frustrating, and you may not see immediate results. With some persistence, determination, and commitment, it will happen. I look forward to hearing from you. Speaking of hearing from you, I’ve seen some of your comment about how helpful my articles have been. There are still a lot of you keeping quiet out there. Don’t be shy. I want to see a dialogue here to help everyone and would love to see you share helpful websites. We all learn together when we share our information.